Several Cooper engineering students returned to class earlier than expected – as teachers – this past winter break. 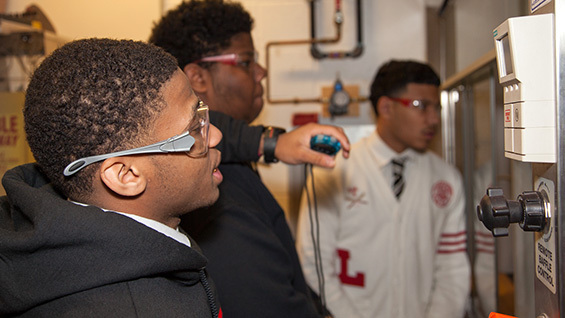 Members of Pi Tau Sigma (PTS), the Mechanical Engineering Honor Society, served as instructors during two STEM days for high school students on January 13 and 14. George Delagrammatikas, associate professor of mechanical engineering and STEM Outreach Program Director, organized the program with PTS.